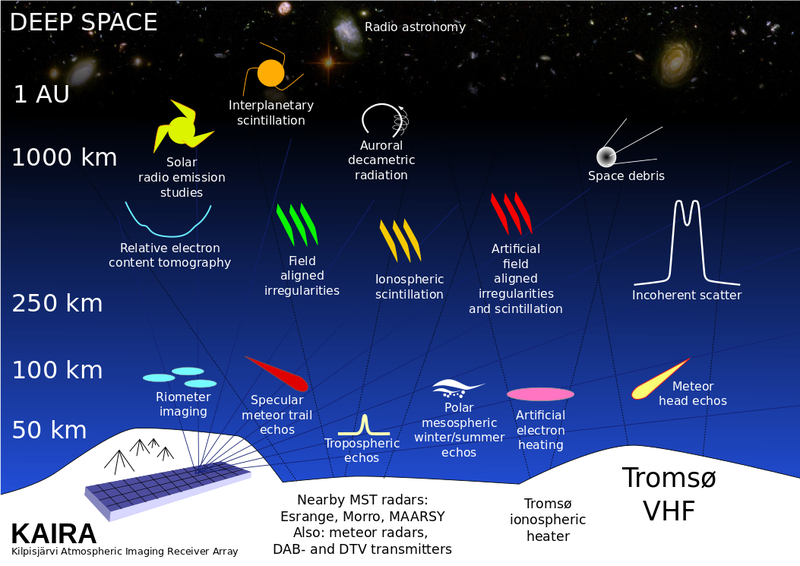 Kilpisjärvi Atmospheric Imaging Receiver Array: How do KAIRA and LOFAR work? — Part 2 : What is a LOFAR system? How do KAIRA and LOFAR work? — Part 2 : What is a LOFAR system? Typically, each station has two fields containing arrays of antennas. These are referred to as the Low-Band Array (LBA) and High-Band Array (HBA). The “low” and “high” refer to the radio frequencies that these arrays are designed to receive. The LBA is optimised for the frequency range 30–80 MHz and the HBA for 120–240 MHz. The gap between the two bands is where FM radio is broadcast. It is pointless trying to listen to faint radio signals from the depths of space, when these powerful radio transmitters are nearby. 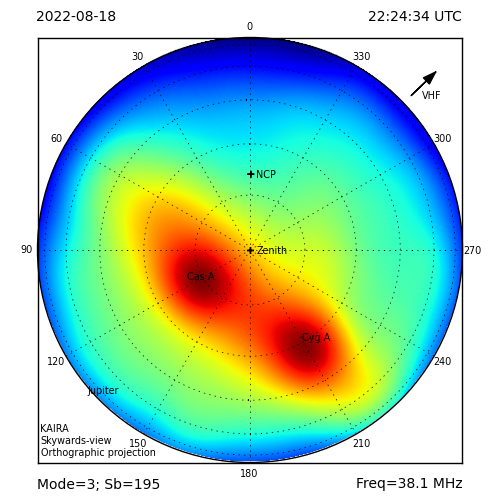 Thus, LOFAR ignores this part of the radio spectrum. And, rather than designing one type of array which straddles this gap, it has been split into the two arrays, with the LBA and HBA being specifically tuned to the respective parts of the radio spectrum. Aerials of a LOFAR Low Band Array. Apart from the different antenna designs, the arrays are also arranged slightly differently. The LBA is made up of a scattering of spindly aerials that look like wire pyramids. The HBA comprises large flat black-plastic tiles packed sided by side. There are some good reasons for these differences, but ultimately each of them is a phased array receiving radio waves from space. And we’ll continue with that tomorrow!